I have been following the progression of ASP.NET in particular in relation to the changes made for ASP.NET 5. 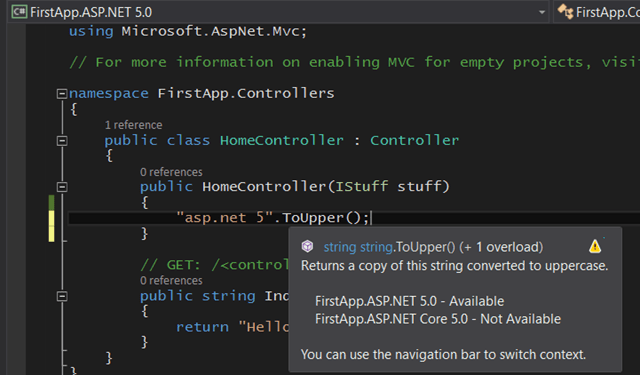 I’m going to take a look under the covers of Visual Studio 2015 preview at the command line underpinnings of ASP.NET 5 and, as a result, for the first part of this article I’m not going to touch Visual Studio at all; it will all be driven from the command line and Notepad. One of the design goals for ASP.NET was to get free from its Visual studio and Windows dependencies so I feel okay about learning how it works on this layer and hopefully later I’ll get to appreciate the extras that Visual Studio will give me on top. For the purpose of using a ‘clean’ environment I’m going to run up a virtual machine in Azure and create an ASP.NET MVC application without installing Visual Studio. 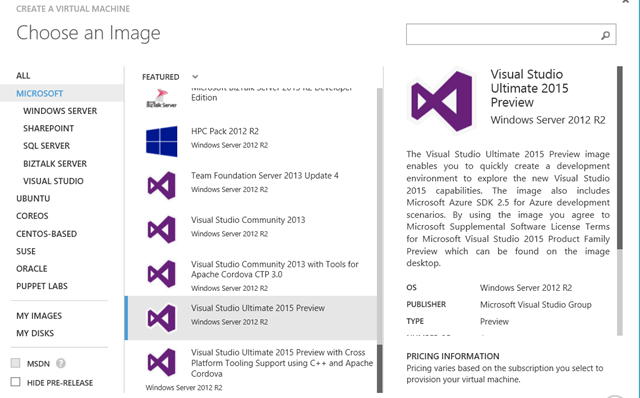 I headed off to the azure portal https://manage.windowsazure.com and I chose Windows Server 2012 R2 with pretty much the default settings and spun up my Virtual Machine. Once these are installed we can use their respective commands to configure the environment, our project and its dependencies. I’ll come back to these later but for now it’s useful to note that K was used as a project pseudonym but beyond that has no special meaning. Editing the output string in the Startup.cs file, saving the file and refreshing the browser causes the new string to be rendered by the browser without going through an extra build step. Also, inspecting the project folders using Windows Explorer reveals no binaries on disk. This is because changes to the source files are being continually monitored and when a change is detected the project is rebuilt in memory (using Roslyn, the new .NET compiler platform also hosted on Github) and the resulting code is injected into the web server process (Note. this mechanism is only working for me currently when using IIS Express). This results in a more efficient and faster development process more familiar to web developers. We’ve briefly seen KVM, KRE and KPM so let’s have a look into those and see what they can do for us. The KVM helps us to keep track of the different K Runtime Environments we may have installed locally, it helps us to download others and manage their usage. For example, ‘kvm list’ will list out all versions of the runtime environment and ‘kvm use’ will specify which to use. Consists of different builds of the runtime libraries, the K command line and the KPM. The K command takes on the responsibility of bootstrapping the environment. In fact there is a hidden folder within your user folder called .kre where the disk representation of the runtime environments are stored so you can have a look and see what’s there. The KPM is responsible for any package related actions required by your app such as restoring packages as we saw earlier. 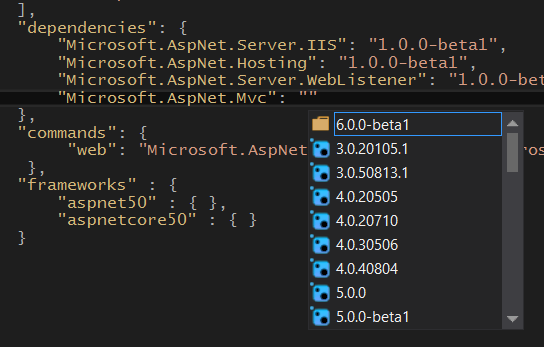 Arguably the most significant change is the repackaging of the .NET framework into a light-weight .NET Core which ships as a collection of Nuget packages intended to be distributed alongside your app making it completely self-contained. Alongside this the environment is also much more modular and pluggable so you only need to use bits of the pipeline that you need making requests more efficient. In the past, supporting additional platforms with .NET has resulted in multiple, incompatible ‘cores’ resulting in the need for workarounds like portable class libraries which allow targeting of a subset of common features of multiple frameworks. The building of .NET Core signals a move towards a true common core paving the way for easier cross-platform targeting. By default on windows the full .NET framework is used to use the .NET Core you can run ‘kvm upgrade -runtime CoreCLR’ which will retrieve .NET Core and set it as the default KRE. I was using the clean vm without Visual Studio just for illustration, I would recommend installing Visual Studio 2015 Preview as a first step if you want to start experimenting with this or there are also virtual machine images on Azure which you can use. I’m going to switch over to Visual Studio now and look at how to introduce MVC and Web API into the mix. In our original example we were just writing directly to the response – nothing extraneous was being loaded up, no MVC, no Web API. So, if we want those things how do we load them into the pipeline? So, in general the pattern is that you declare that you want to use a component with the Add call and then the Use call goes into the pipeline itself. That’s it – now we can add a controller and have it work as expected! Since MVC and Web API are now all part of the same pipeline we can mix and match their actions within the same controller. Dependency injection is now built in and used throughout so the IServiceCollection interface passed to the ConfigureServices method allows us to register types and instances scoped to various lifetime policies much as you would expect and these will get automatically injected into your controllers. Visual Studio provides us with all of the functionality of the command line tools and more really nice features on top. Class Library – this gives an easy way to create your own Nuget packages (Note that by default the output is not written to disk – there is currently a setting in project settings to enable this). There is a context switcher at the top left of code files which enable selection of one of the frameworks supported by your project. When selected the code file will reflect errors\information for the one chosen context. Also, the tool tip is informing us of the availability of the ToUpper() method in each target framework. The Combined intellisense shows a warning symbol when a method might not be available. Since ASP.NET 5 is designed from the outset to be cross platform let’s take a quick look at what this looks like on a Mac. So, back to the Github site to follow the install instructions for Mac OS X https://github.com/aspnet/home. After that I used the project.json and Startup.cs from the first example with one addition; I added a dependency for Kestrel and also a command to run it. Kestrel is a development web server for ASP.NET vNext based on libuv. The development experience on the Mac is pretty good; I used Sublime Text 3, for which you can get project support and intellisense and yeoman (for project generation). To get started on Mac see Develop ASP.NET vNext applications on a Mac.